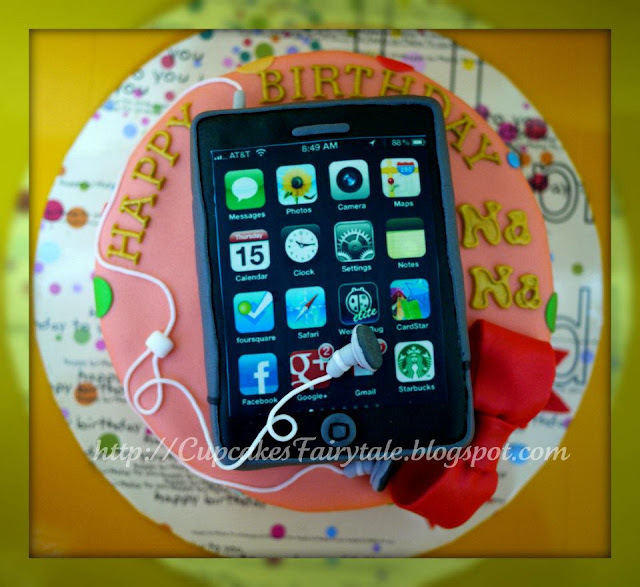 Ms Foo ordered this special theme cake for her niece's 14th birthday as the birthday will be getting her birthday present , which is a 'white iPhone 4' from her father. Ms Foo suggested to have the cake with iPhone in Black instead as she wants the birthday girl to have both B & W collection of the iPhones. 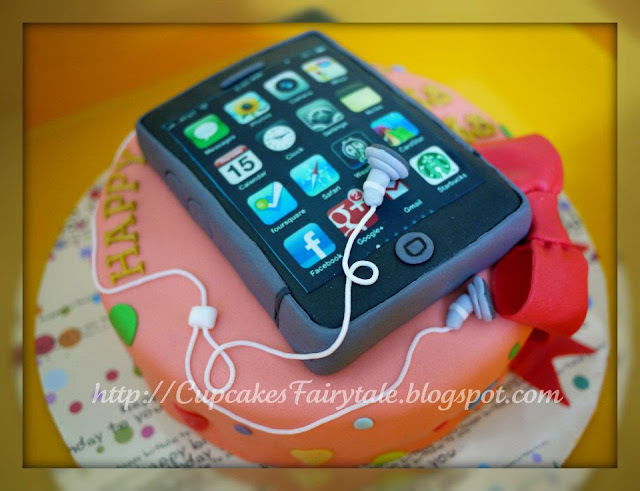 Cupcakes Fairytale wishes Na Na - "Happy Sweet 14th Birthday, May all your wishes come true".